Today’s episode of the Project Management for the Masses podcast is a conversation with the fantastic Dorie Clark on how to stand out and be noticed. I had Dorie on the show back on episode 41 and we talked about reinventing ourselves as professionals, and I got very positive feedback regarding that episode. I liked Dorie and her message so much that I invited her to write the foreword for my book, Project Management for You, which she graciously accepted. I’m so excited to have her be part of my book. Since that episode of the show, Dorie Clark has written and published her second book, called Stand Out: How to Find a Breakthrough Idea and Build a Following Around It. After reading the book myself and really loving it, I asked to come back on the show to share with us ideas and strategies to make us, project managers, stand out and be noticed in our projects and in the marketplace. 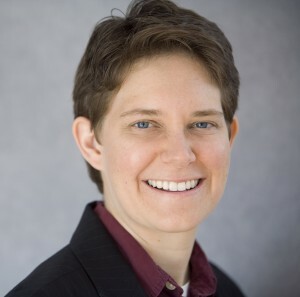 Dorie Clark is the author of Reinventing You: Define Your Brand, Imagine Your Future, and Stand Out: How to Find a Breakthrough Idea and Build a Following Around It. A former presidential campaign spokeswoman, she is also a frequent contributor to the Harvard Business Review and Forbes. Dorie was also the featured guest on episode 41 of the Project Management for the Masses Podcast, and the foreword contributor to my book Project Management for You: How to Turn Your Ideas Into Reality, Deliver On Your Promises, And Get Things Done. Recognized as a “branding expert” by the Associated Press and Fortune, Clark is a marketing strategy consultant and speaker for clients including Google, Microsoft, Yale University, Fidelity, and the World Bank. She is an Adjunct Professor of Business Administration at Duke University’s Fuqua School of Business and has guest lectured at Harvard Business School, the Harvard Kennedy School, Stanford University’s Graduate School of Business, the Wharton School, the MIT Sloan School of Management, and more. She is a frequent guest on MSNBC and appears in worldwide media including NPR, the Wall Street Journal, and the BBC. CareerAcademy.com is Sponsoring the PM for the Masses Podcast! It would give me an opportunity to test drive some products and services, filter out the ones that would not apply to us, and have a solid, valuable resource I can share with you. After a few conversations with some potential sponsors, I am happy to announce that for the next couple of months, the Project Management for the Masses podcast is being sponsored by the great folks at CareerAcademy.com. CareerAcademy.com is a global leader in on-demand training solutions for IT and business professionals. For the PM for the Masses community, they put together a training/certification bundle tailor made for us. I hope you take advantage of this offer that was custom made for us. Whether you are someone starting the PM path looking for a few certifications or a certified PM looking for PDUs, this is a no-brainer (did I mention it is only US$99?). The link to access this special offer is http://pmforthemassescom.mystagingwebsite.com/academy. Once again, I bring the thorough Dave Gordon and his must-read project management articles for the past week. You can find his favourite articles at his blog by clicking here.